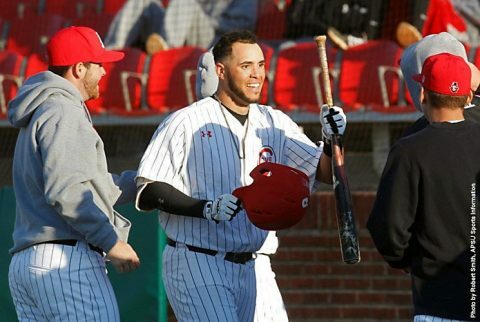 Clarksville, TN – Austin Peay State University’s baseball team first baseman Dre Gleason hit a solo home run but the Governors fell behind early in a 9-1 loss to Mercer, Friday afternoon at Raymond C. Hand Park. Austin Peay (5-4) could not solve Mercer starter Ryan Askew early in Friday’s contest, with only a leadoff error in the second breaking the Bears starter’s early rhythm. Oxford, MS – Austin Peay State University’s softball team held off a late charge by Nicholls State, Friday morning at the Ole Miss Softball Complex, as the Governors defeated the Colonels 4-3, before dropping their second game, 4-2, to UT Martin, in the opening day of the Red & Blue Classic. 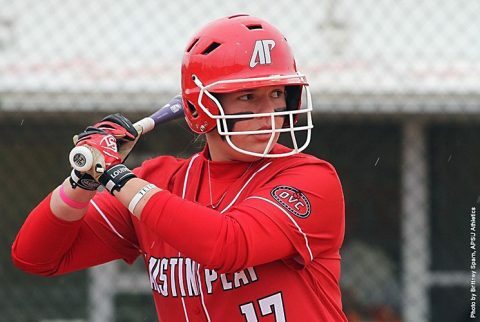 The Govs (6-5) would get on the board first in the bottom of the second inning on a double by Kendall Vedder into left-center field driving in Allie Blackwood – who had opened the inning by reaching on a hit by pitch, then move into scoring position at second base following a walk to Christiana Gable. 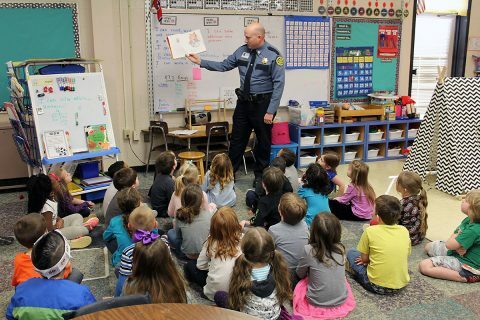 Clarksville, TN – For Read Across America Week deputies with the Montgomery County Sheriff’s Office visited classrooms across the county to read their favorite books to preschool and elementary school children. Deputies visited to Woodlawn Elementary School, Montgomery Central Elementary School, Ringgold Elementary School, Minglewood Elementary School, Barksdale Elementary School, and Oakland Elementary School and Giving Tree Daycare. Deputies with the Montgomery County Sheriff’s Office, for Read Across America Week, read books at classrooms across the county. Clarksville, TN – The Clarksville Police Departments says criminals impersonating law enforcement officers over the telephone continue to convince local citizens to surrender up to thousands of dollars through prepaid cards. 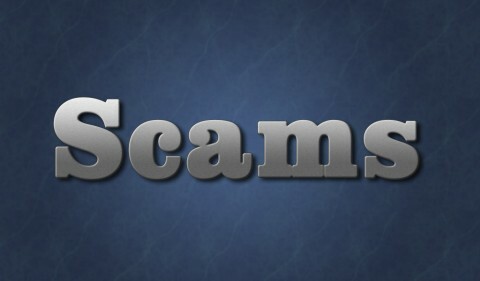 The criminals threaten victims with fake claims that they missed court or jury duty, in spite of several recent news releases and other efforts by legitimate law enforcement to educate the public and forewarn people of these scams. 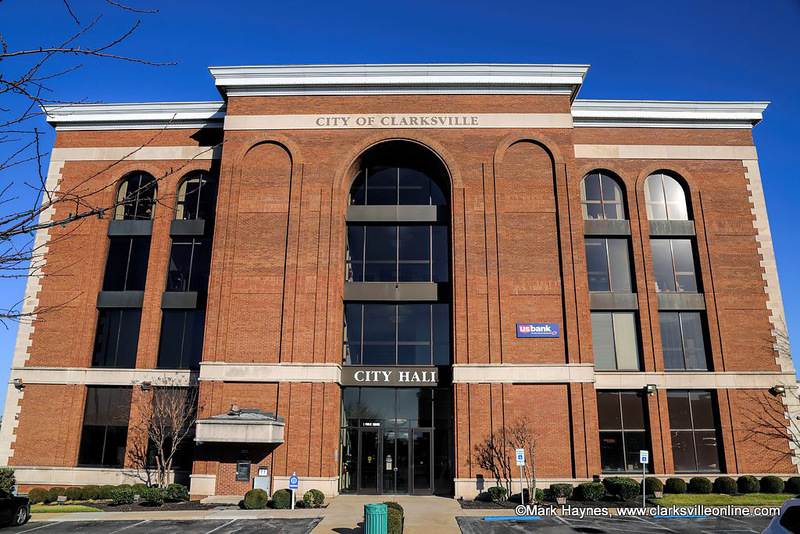 Clarksville, TN – Clarksville Mayor Kim McMillan and the Clarksville City Council have approved a resolution supporting Governor Bill Haslam’s goal to revamp transportation funding in Tennessee. The governor’s IMPROVE Act, the top priority of his legislative agenda this year, is a revenue-neutral plan to cut taxes on food, manufacturing and business while providing a sustainable increase in funding for the state’s transportation network. 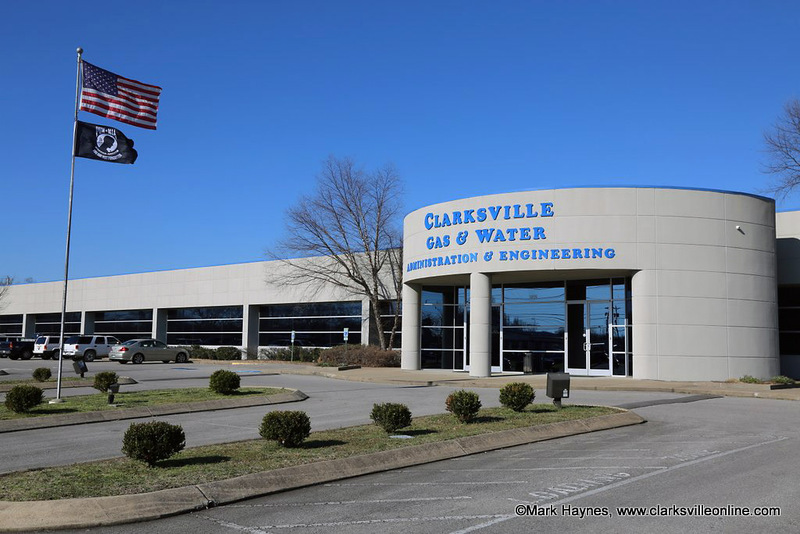 Clarksville leaders back goals of Tennessee Governor Bill Haslam’s IMPROVE Act. Clarksville, TN – Brittney Honeycutt was sworn in as the newest Clarksville police officer Wednesday morning, March 1st, 2017. Clarksville Mayor Kim McMillan administered the oath of office to the former Oak Grove, Kentucky officer in an 8:30am ceremony at the mayor’s office. 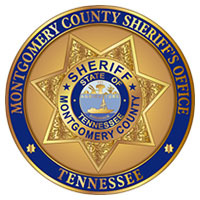 Honeycutt comes to the Department with two and one-half years of experience as an Oak Grove officer. 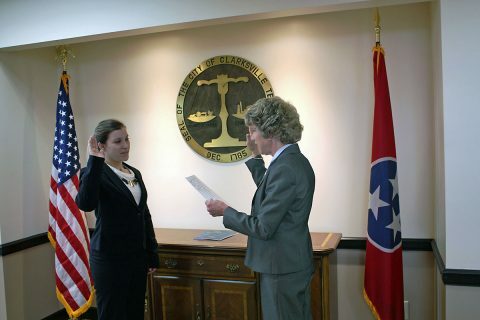 (L) Clarksville Mayor Kim McMillan swears in (R) Brittney Honeycutt. 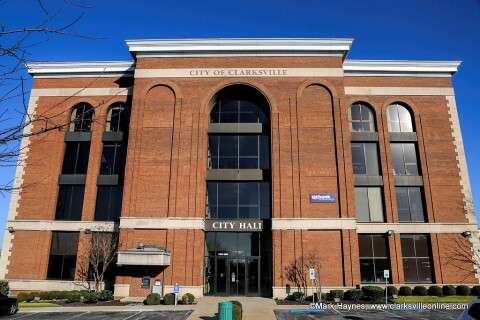 Clarksville, TN – The Clarksville Gas and Water Department has launched “Pay by Text” as a convenient payment option for customers to pay their utility bill anytime, anywhere on any cell phone. Pay by Text is a cost-free service that delivers registered customers a brief monthly text alert with the bill amount and due date. Cost-free service allows mobile payments for Clarksville Gas and Water utility bill. 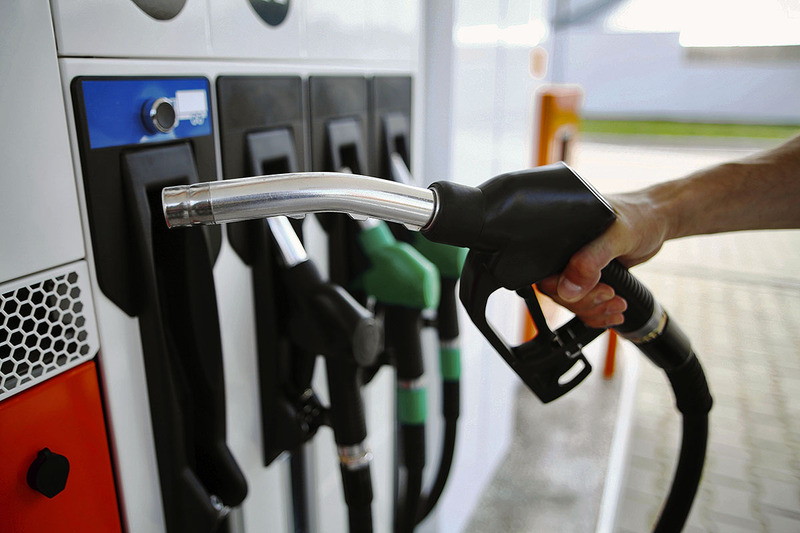 Tampa, FL – Motorists paid the highest gas prices for the month of February in three years. The monthly average for a gallon of regular unleaded was $2.28 nationally, $2.28 in Florida, $2.18 in Georgia, and $2.06 in Tennessee. Compared to February 2016, these averages were an increase of 55 cents (US), 51 (FL & GA), 52 cents (TN). The average cost for a full tank of gas was $34.00 – $8.00 more than February 2016. Clarksville, TN – The Cumberland Arts Centre Dinner Theatre will hold auditions for Neil Simon’s “Barefoot In the Park” at 7:00pm on Monday March 6th and Tuesday March 7th. Cast includes young couple that can play mid 20’s; Female to play 40 – 60; Male 40 – 60; and two adult males of any age. 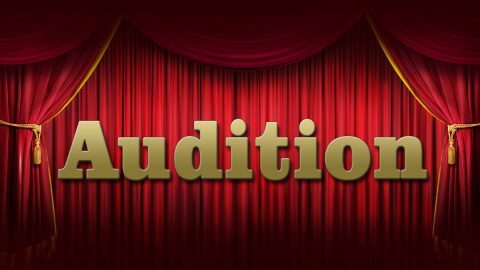 Those wishing to audition will be asked to read from the script. No resume or headshot is required. Auditions are open to the public. Production dates are scheduled for April 7th, 8th, 14th, 15th.